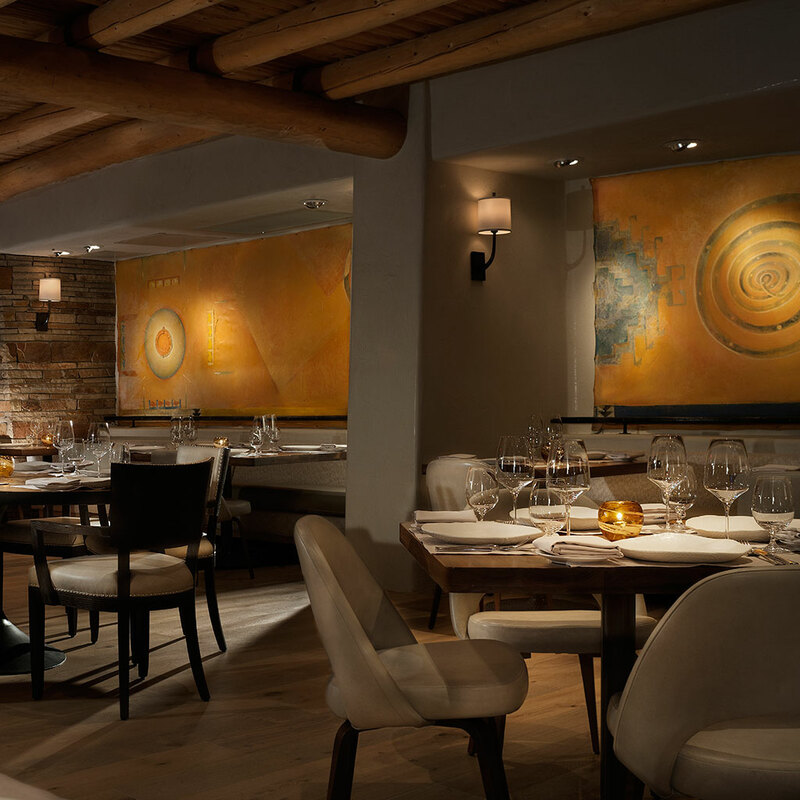 Santa Fe’s small, intimate and upscale dining scene provides ample restaurants with hushed lighting, tranquil outdoor seating and a unique fold of Southwestern, American and French cuisines. 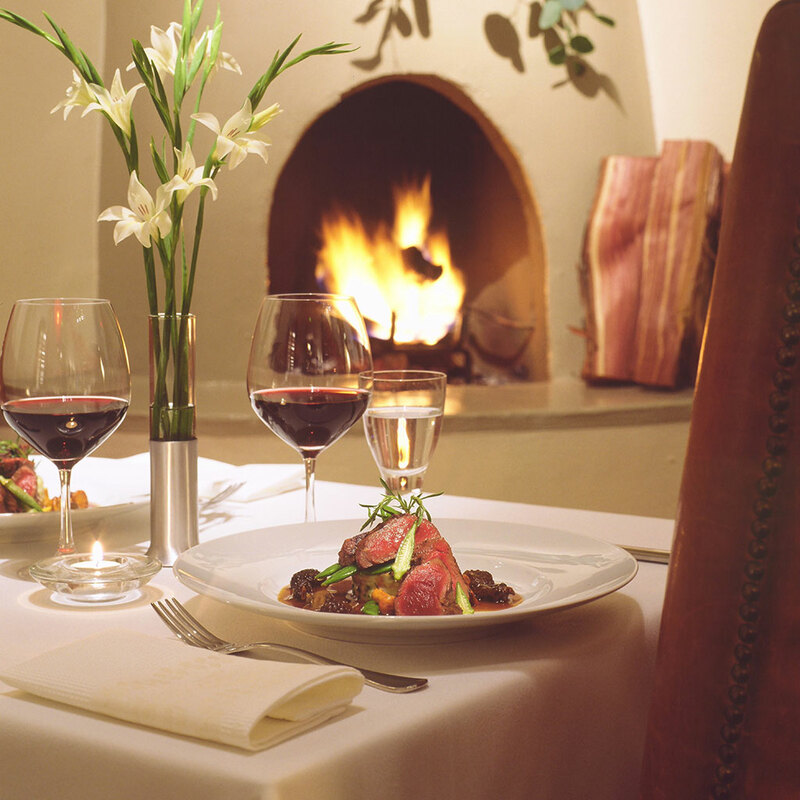 Reserve a table for two at these romantic spots. 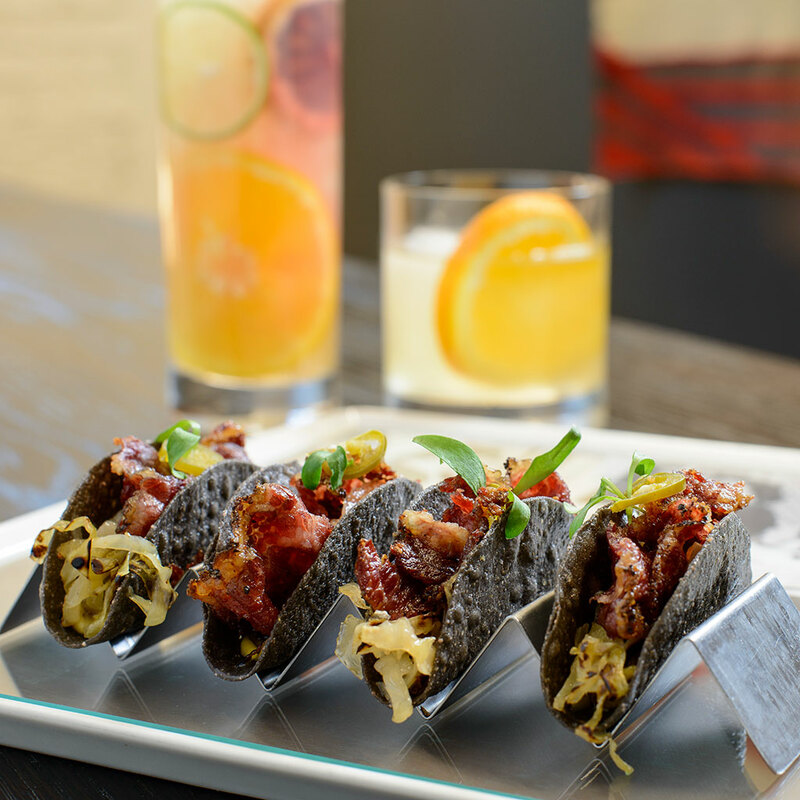 This relative newcomer from chef John Rivera Sedlar, who was taught to cook by his grandmother, churns out spectacularly plated dishes like pastrami tacos and potato-wrapped scallops. There’s an ample tequila and mezcal program perfect for mixing cocktails or slow sipping. 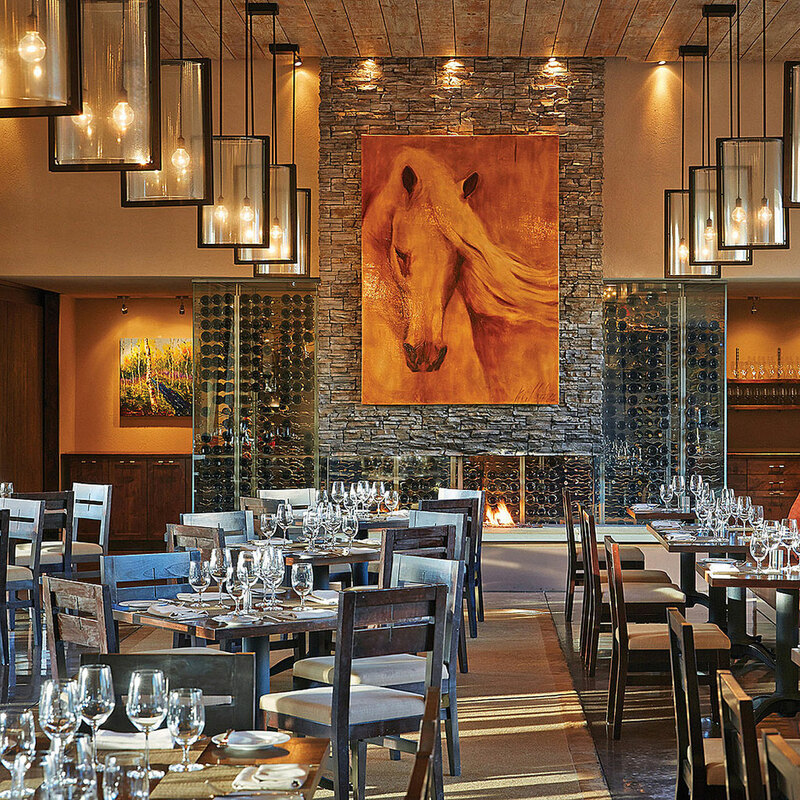 Long known for it’s soft, dim lighting and warm interior and leather banquettes, this highly-touted spot along Canyon Road, in an old 1756 adobe home, serves hearty dishes like crab cakes and elk tenderloin and a hearty, delicious vegetarian tasting menu. 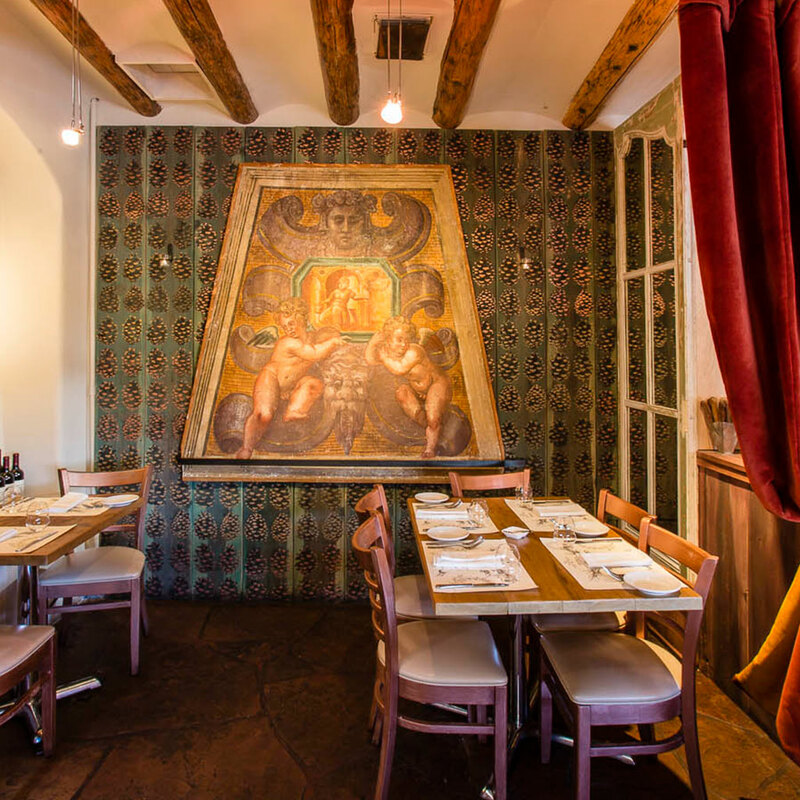 Artist Alexander Girard’s murals are sprinkled throughout this light-filled institution serving chef Mark Kiffin’s handmade lobster carbonara and a braised lamb shank served with white beans, fennel and tomatoes. A retreat to the peaceful patio is a reprieve from the more bustling indoor seating. If glorious sunsets and sweeping mountain views interest you, look no further than The Four Season’s restaurant Terra. Chef Andrew Cooper plucks from his fresh bounty of herbs and vegetables grown in the back garden. And, one can’t go wrong with grilled lamb chops, Chilean sea bass or the well-proportioned lentil cake. 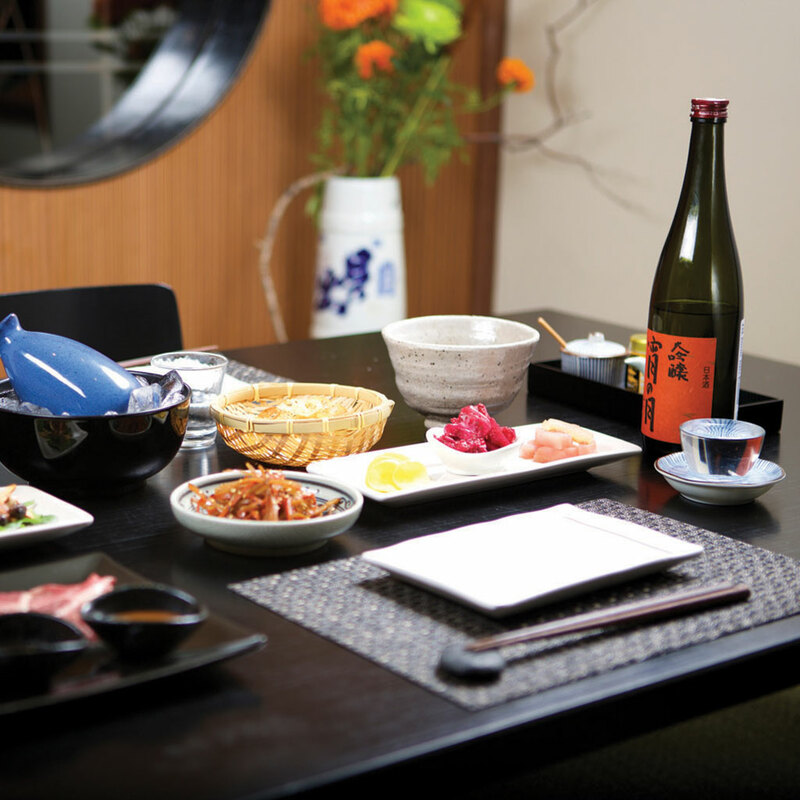 This traditional Japanese restaurant includes small plates, or izakaya dining, made for sharing. The meat-heavy menu (without a nearby ocean, you won’t find fish here) are organic, so opt for hot dishes like bacon-wrapped mochi, and grilled wagyu beef ishiyaki cooked on a hot stone alongside a robust sake menu. It’s hard to resist such a subtle, peaceful courtyard setting lit by warm lanterns coupled with chef Marc Quiñones cuisine. Try New Mexican classics like Chimayo chile-honey glazed salmon with cilantro pesto and a coriander cornmeal-crusted chile relleno with a glass of New Mexico’s own sparkling Gruet Blanc de Noirs. This buzzy spot from chef Joseph Wrede takes a “farm to table” approach with starters like the lamb tartare and buffalo medallions with a burnt orange sauce. There’s a winning selection of beers on tap, and save room for the butterscotch pudding with caramel sauce. 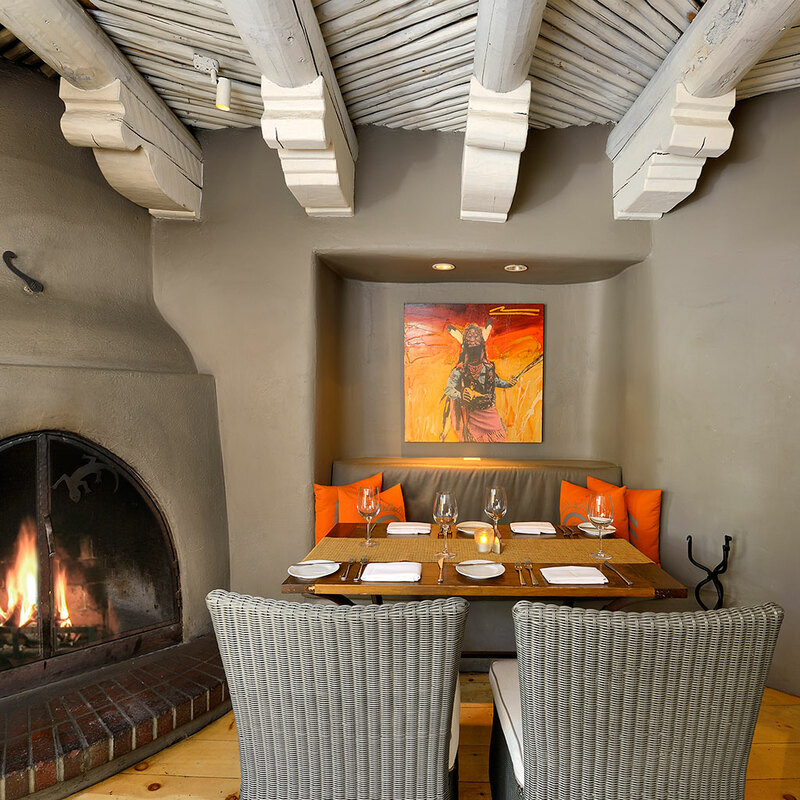 Inside the cozy Rosewood Inn of the Anasazi, the rustic-chic, newly reimagined 40-seat restaurant is the place where Southwestern meets Latin influences meet and meld. Try dishes like braised short rib with spiced breadcrumbs, smoked truffle potato mash, tobacco onions and Malbec sauce. For dessert – don’t miss the Spanish Flan. 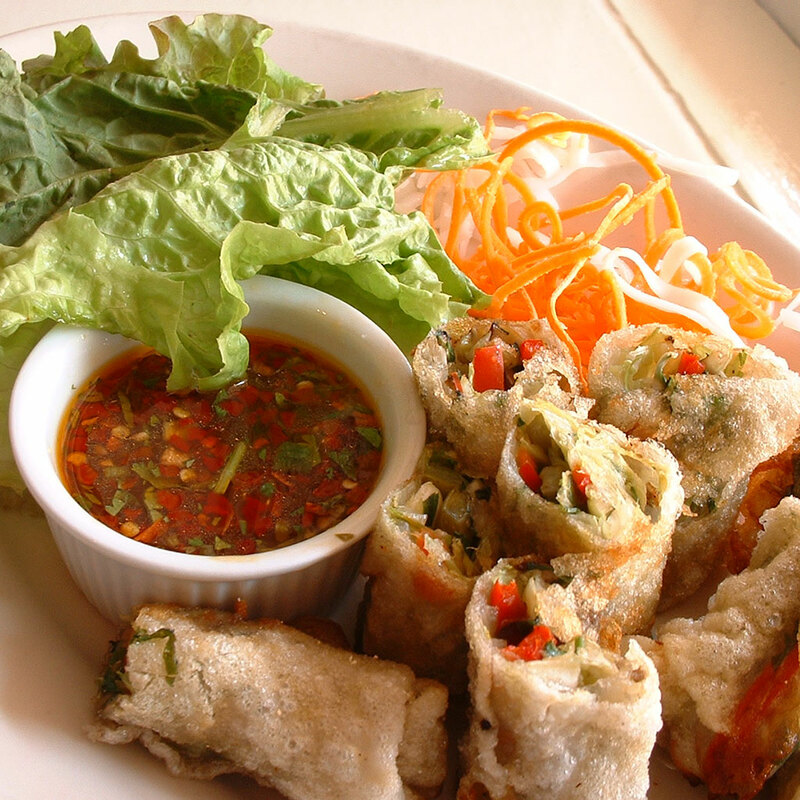 In pleasant weather, the outdoor patio is the spot to sip wine while dining on bites of shitake mushroom and cactus spring rolls. Inside, four small and more formal dining rooms set the stage for braised osso buco, green chile country mashed potatoes and sautéed leeks. 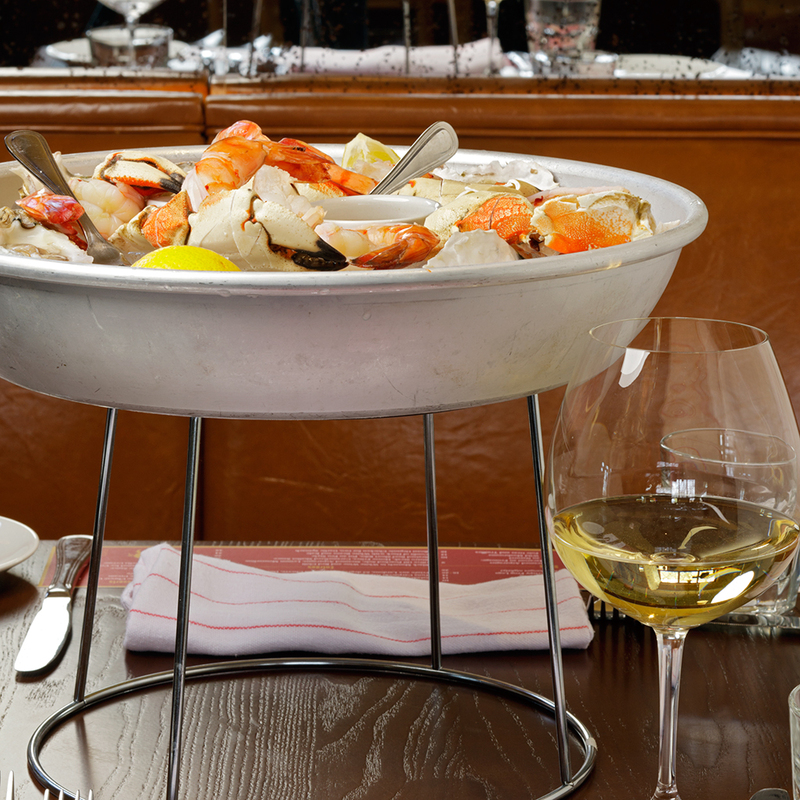 Uncover a bevy of classics at this simple, casual 40-seat bistro from French chef Charles Dale. 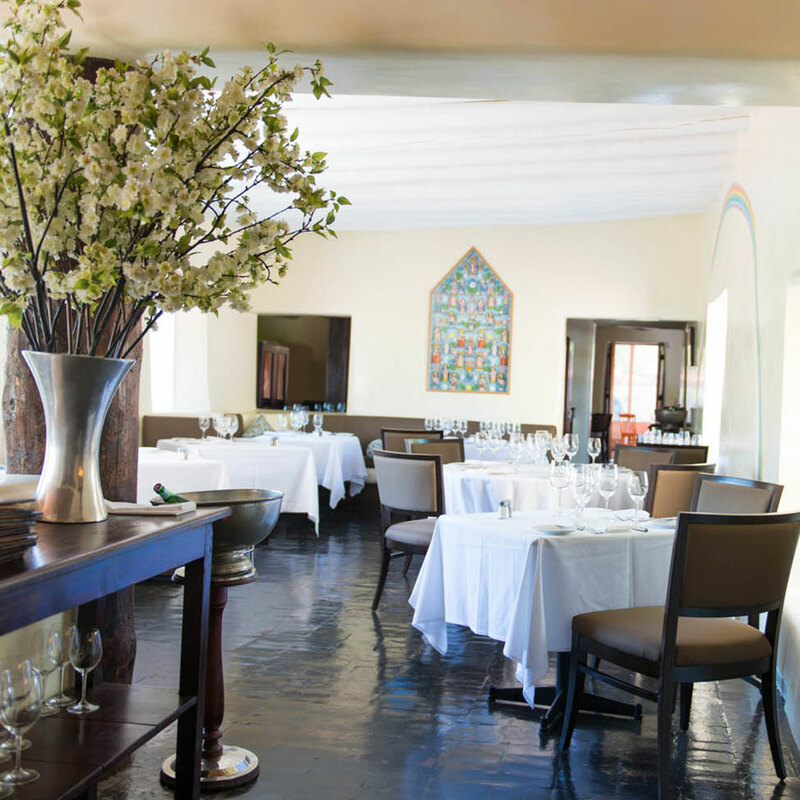 Watch culinary theatre unfold at the tall table facing the open kitchen or procure a table for tenderloin steak tartare, served with a fresh farm egg, and black mussels in white wine. Note: a side of pommes frites is absolutely essential.